Click here for information about our beautiful Drive-Thru Nativity, a Journey to Bethlehem. Advent is the time Christians prepare themselves for the coming of the infant Jesus. It began this year, on November 29th. December 6th- Peace Sunday- We'll celebrate the way Christ brings peace to the world and Peace in our hearts. We'll also celebrate a baby blessing! What perfect timing. December 13th Joy Sunday, our worship will be very upbeat, a bit nontraditional in style and form. December 20th Love Sunday. 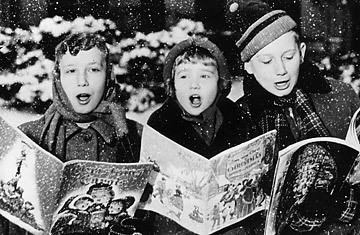 As we celebrate the gift of love in our lives, we'll sing Christmas hymns and enjoy the beauty of the season. December 24th Christmas Eve Candlelight Service at 7 pm. Join us for this special service filled with music, the retelling of the story of Christ's birth, and quiet candlelight reflection. On Sunday, December 20th, stay after our 10 am worship to enjoy delicious snacks, crafts and gifts for the kids, and a free picture with a very special Christmas guest. Click here for a list of alternative Christmas gifts. Click here for a list of the highest rated Children's charities to consider gifting this Christmas. Meet at the church at 6 pm on Sunday, December 6th as we leave to go Christmas Caroling to some folks who won't be getting out much this Christmas. You don't have to sing well to bring cheer to their hearts, and you'll bring plenty of cheer to your own. Afterwards, we'll come back to the church hot chocolate and cookies.